As soon as you find out you are pregnant!! Just kidding 🙂 Before your baby is born is recommended. Our schedule fills up about four weeks in advance so please call to schedule your newborn appointment before your baby is born. Once you deliver, please have someone text, email or call us to let us know and we will schedule your session a week after your baby’s due date, if your little one has other plans and decides to come early or later we will adjust as needed. Don’t worry If your baby is already born. We will always do our best to squeeze newborns into our schedule. Is my baby too young to take outside for a session? Absolutely not! Newborn babies photograph best between 6-10 days old. This is the best time to capture those super curled up poses. We take up to four hours for a newborn session and leave plenty of time for feedings, diaper changes and breaks for mommy and baby. Studio is always sanitized and blankets washed after each session, I am up to date on my vaccinations and will always reschedule a session if me or anyone in my family feels a cold coming on, studio is always kept warm for babies comfort. Your baby’s health and safety are our number one priority. Nothing! Newborns photograph best without any clothes at all. If you have a special blanket, hat or item you would like us to include bring them with you . We have a huge supply of newborn hats, bows and headbands that I will use to stylize your images. Please have baby come in loose fitted clothing, so no marks are left (ie. socks, diapers etc.) and so it is easy to slip off. We recommend that you bring baby to the session well fed (think..thanksgiving stuffed) and plan to feed baby as soon as you arrive. If breastfeeding please try to be aware of what you eat the night before as to not upset baby’s tummy. Bring a pacifier if the baby takes it..they are so helpful in keeping the baby calm and sleepy for the session. Bring an extra outfit for yourself or husband, we photograph babies naked and sometimes nature calls and accidents happen during the session. NO!! Please wait until after your session. We will be tightly swaddling your boy naked in scarves, wraps and delicate fabrics. Even though many of my fabrics are soft and cozy they still can irritate the circumcision area which can lead to a very unhappy and uncomfortable baby who will not tolerate being posed during his session. I don’t want to cause any further pain to your baby and I will reschedule your session if I see that the baby comes in with a freshly done circumcision. Absolutely ! I encourage you to be photographed with your husband, baby and even your pets! Capturing that sweet emotional bond between mommy and baby is such a special moment to photograph. I recommend skin to skin images, they are the best way to capture the beauty of these relationships. Custom photography is a personal experience created just for you and your family. Together we come up with ideas for your shoot that will fit your family’s style and personality. You will receive that individual attention that a Studio chain just can not offer you. How far in advance should I book my Children’s session? Sessions are often booked 4-6 weeks in advance. Can I book my session and pay the Session Fee later, why is the Session Fee Non-refundable? No, Session Fee is required to secure your session date. There is a lot that goes into Pre-planning for your session. Once a date is booked I can no longer offer it to another client so for this reason session fee’s are non-refundable. Yes, A contract is very important for both of us. This provides you with a secure date and time as well as a good understanding of what the session expectations are. A portrait session is about you. Be yourself. Similar color palettes work well. Try to avoid logos, different colors and textures are great though. You can also visit us on Pinterest to get some ideas from our “what to wear” guide. I heard your camera clicking hundreds of times, will I get every photo? No. I take multiple shots to ensure I don’t miss the shot due to blinking, hair in face, funny expressions, etc. I will only choose the best and most flattering images from your session into your gallery. The location of your shoot is completely customized. Prior to your shoot, we will discuss your personal style and what you envision for your portraits. From there, I find a location that best matches your requests. I want to make sure that the overall style of your imagery reflects you and your family. 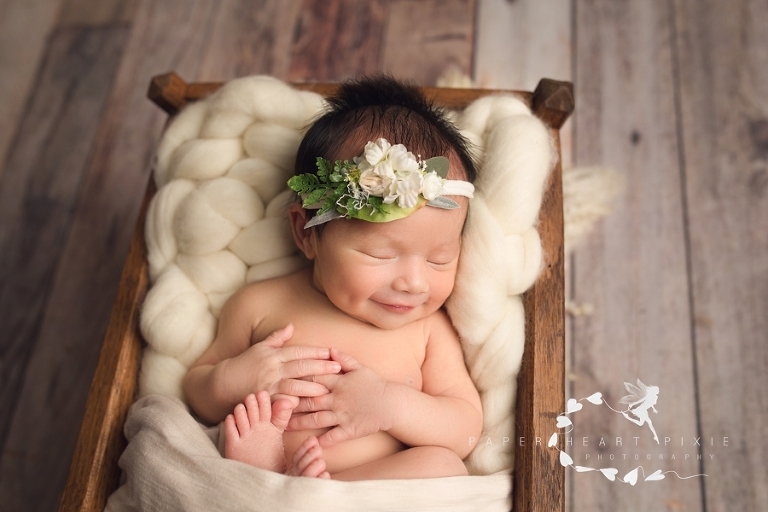 Posed Newborn shoots take place in our cozy studio located in Cornwall, New York. How soon can we expect to see our images? You can expect to view your final image collection approximately two weeks following your photo shoot. Proofs are usually ready within 14 days after the session. We will schedule an appointment to view them at your convenience. Reveal and ordering appt. typically lasts about 45 minutes to one hour. You will watch a slideshow of your portraits and you will also see your proofs in an online gallery. PHP specializes in creating unique and custom wall displays on canvas, as well as framed prints. I will help you design beautiful artwork to display in your home. Do you provide a low resolution CD after the session? No. Paper Heart Pixie specializes in artistic custom photography, we provide a unique experience and we offer high-end archival products. Our Collections include high resolution digital negatives. Please refer to our Investment Page or use our contact form to receive more information. Can I print my own Images using a company like Walgreens or Costco? Though local consumer printers are great for printing your personal photos, I do not recommend doing this with your professional images. Photos from these consumer labs do not match color or quality as those of a professional printing company. Your prints and product from our session should be the highest quality possible. No shows, Lateness and Bad weather? Some things are out of our control. If you need to reschedule your session, please provide 48 hour notice. Late arrival: Any lateness more than 30 mins from your allotted session time and I will forced to reschedule your session for a charge a fee of $150. Any missed sessions will forfeit your session retainer fee. I had an awesome experience, do you have a Referral Program? Many new customers come from word of mouth referrals. If you are thrilled with your experience and portraits taken by Paper Heart Pixie Photography you will want to share your experience with family and friends. As a way to say thank you, with each paid and completed full session that is referred by you, you will receive a $50 credit (not redeemable for cash) that can be used towards your next session fee, print or product. if you refer 3 or more people who book a full session you will get a free Mini session! (print, product not included) AND the person you referred will receive $50 credit to use toward print or product. Any fine print or Terms? Paper Heart Pixie Photography reserves the rights to all images. 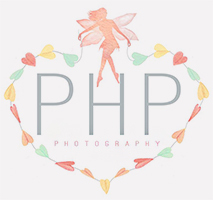 All images can be used by Paper Heart Pixie in any way for advertising, promotional materials,site updates.Altering my images in any way such as re-editing them, cropping etc. is strictly prohibited. Due to the nature of my trade, all Session fees are non-refundable. Prices are subject to change and are non negotiable. Paper Heart Pixie Photography specializes in newborn, maternity, baby, and child photography in Orange County, New York and surrounding areas including but not limited to Hudson Valley, Rockland County and Sussex County, New Jersey.